Angry Birds Rio High Dive Episode Now Available! Wow! That was quick. We teased this update just yesterday, and today the Angry Birds Rio High Dive update (v2.0.0) is now available for iOS, PC, Mac, and Android via Google Play. The update should be landing for more platforms pretty soon. Note: Angry Birds Rio is now broken up into two chapters: Rio and Rio 2. Rocket Rumble and High Dive can be found under the 2nd chapter. 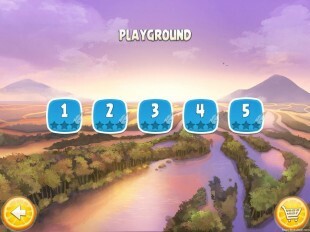 Foremost a major overhaul to all graphics, from the splash screen to the app icon to the gameplay. If you experience any lagging, try restarting your device and/or closing out other applications. 20 new levels in the new High Dive episode! Fling your birds underwater for aquatic attacks! Our walkthrough videos are live! Golden Treasure Chests! We suspect there are 10 to find hidden throughout the 20 normal levels. If you need help, consult our videos! 6 bonus levels! Unlock these by earning 30, 40, and 50 stars; collecting all Golden Treasure Chests; and earning 7 and 15 feathers (mobile only). 1 new iOS achievement for completing the episode. New “Playground” episode: Five complementary levels to try out Power Ups and the Mighty Eagle for free! Our walkthroughs are live for these levels as well! The Rio Leaderboard is ready for your scores. But remember, Power Up scores are NOT permitted on ABN Leaderboards. This includes the Playground episode. So what are you waiting for? Put some sunscreen on your beak and get flinging! 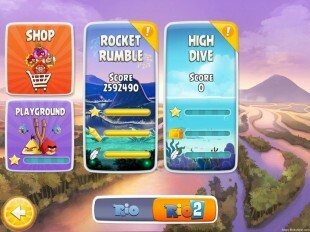 Nav: Home »News » Angry Birds News & Updates » Angry Birds Rio High Dive Episode Now Available! I’m enjoying this one too. I really sort of prefer ABO, Seasons and Rio to Space and Starwars. Is anyone else having problems downloading the update? I hard closed everything and restarted my iPad, and after a wait, the Rio icon now appears on the App Store update page, and it might actually be updating. Previously, at first no icons appeared on App Store update page, after shutdown and hard close, icons appeared for every think except Rio. Took two attempts to download (first said error 923), powered device off/on after install, now having issues playing; the level freezes, then parts of the level image/background disappear, and finally a message stating ”not responding wait/report/close” – I guess it will get fixed in due course, still annoying though! I have been having similar problems and have also had the whole game shut down. I think I will stick with the challenge for the rest of the day while I wait for the bugs to be fixed. I have had several freezes in various levels and one immediate exit of the game. I play on iPad. When I first downloaded the game would exit each time I tried to open it. I have noticed that when I have no signal or play in airplane mode I can open and the game works fine. I have a Motorola Photon 4G LTE. Yes.. mine freezes up too.. randomly, (regardless of level) and since there’s no “ctrl alt del” to stop the game.. I have to restart the phone to get it back. I missed the news yesterday, so this is quite a surprise this morning!!! Yay!!!! You took a day away from the nest? For shame! 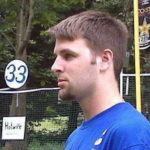 @amslimfordy: Will you make leaderboards for the playground levels? If yes, will it be allowed to enter power-up scores? We haven’t discussed this yet, @chriss. Working on getting the “normal” stuff live first, then we’ll address such formalities. @chriss We’ll make a Leaderboard, but still no PUs allowed — since PC/Mac don’t have the PU option. Whoa! Did anyone else notice how much different the Boomerang Bird looks since the update? @angrybirdy0420 — Noticed the difference in the new levels; haven’t checked the old. Is it different even in the old? Nope. Only the Rio 2 levels (this includes Rocket Rumble) have the Toons style characters. I noticed it too. It looks less like a bird now, at least on my phone. I guess it will look like that in toons. Which level does he first appear? They are all different… they have a much more “angry” appeal.. like their feathers have been ruffled! Acually it’s just using the angry birds toons animations and Hal from summer pignic edition. Played a few levels and looks fun. Appears placement of the one bird solutions can yield 20-30K point differences. Did not have any problems with downloading this update to the iPad. Did not have to clear browsers or shut the unit off. Worked great. Woot! 240th on Game Center for now, all levels (including bonus ones) 3 starred. Probably most people above me on Gave Center are cheaters too! Wish Rovio would fix that, which Apple has provided them the power to do. Fun update! 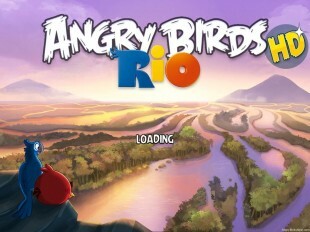 Once again.. Rovio has proven to me, why this is my fav version of all the games. I like how the some of the levels give you so many different ways to approach.. unlike before in some water levels, where you have to go under.. here you have more levels giving you the options of underwater and aerial attacks. Game play is smooth.. graphics are tighter.. but I did notice a couple things, so I am not sure I could list them as a bug except maybe one. On my G3 running driod 4.3, the white arrows you’re supposed to touch to move to second screens, only blinks for me.. no matter how many times I press them.. I have to slide my finger to move pages. The timing for using the eagle feather in the playground episodes is faster than before, giving me very little time to click on it once the last monkey or bird has been popped… so head’s up if anyone else sees this, get your finger ready to click on it.. Otherwise,.. no other issues.. these levels are definitely (IMHO) some of the best created. There appears to be a bug – if I just try to use the mighty eagle, it puts the feather on the icon for that level, irrespective of whether I got 100%. Obviously annoying, as it now looks like I have all the feathers, even though I haven’t yet got 100% on all episodes. I agree it’s annoying but they have done it before so it might not be a bug at all. In Angry Birds Space they did the same thing though it was easier to tell on that app if you didn’t have TD. Has anyone seen what appears to be a totally colored feather for something obviously less than 100%, like 50%? In other games / episodes it puts a feather that is partially colored in. I agree that in Rio High Dive, I couldn’t tell the difference between a partially filled feather and 100%. Didn’t know if I was just too close to 100% to see the difference. I guess it’s hard to tell. The one level I haven’t got 100% on, my best is 98%. The feather on the icon looks like all the other feathers to my eye. It’s either a bug, or very poor design. Much prefer no feather if I don’t have 100%. @gavza @TheBirdBrain @MVNLA2 there is no bug. The feathers are partially filling based on your best score. I could be wrong, but I do believe that @gavza is referring to the fact that when a new level unlocks, a silhoette of the feather appears on the level selection button, with it’s bitmapped opacity greatly reduced, instead of a mere darkened outline of a feather, as it was before. I noticed this phenomenon myself, but the feather appears quite normally after achieving the programmed TD threshold for the level you’re playing, so I don’t believe it to be a bug. Unfortunetly, if you have something like 98-99%, than it’s impossible to spot levels with these results. Very poorly designed, as you will almost always get in the high 90% range whenever using the mighty eagle, just causing confusion. This happened to me as well.. when you have feathers at or around 90% or higher, the feather looks as if it’s already complete… the only way to tell, is to open the level, and click on the Eagle icon, and it will show the percentage for that level. It’s a minor thing, just because the graphics are so small, difficult to tell. This caught me off guard, I too thought this was a bug until I saw this explanation. I think this is a poorly thought through change. Mighty eagle feather is an all or nothing score in reality, why show percentage in the level selection. If they want to display it this way, the feather should change in some way at 100% to indicate completion. This release is very poor on Android tablet. It freezes at random points and I have to kill the process and start over. It even crashed my system once. Even with the reboot, I haven’t noticed an improvement. I have noted the same behaviour onnother new release recently but this one is about ten times worse. I forgot to mention that the reponse is very poor at times. There is a hesitation sometimes when I hit the reset button or try to navigate to another level. Last week when I played Rio, I didn’t experience any of these issues. @birdmeister, I am curious, if you try an older level, do you also have problems, or only when playing the new levels? @bonneypattycat, I just checked and Rio 1 seems fine. But Rocket Rumble seems to have the same poor response. The graphics for both Rio 2 episodes are herky jerky for most levels (HD 5 is an exception) and I don’t remember RR having this behaviour before. Of course I may have a different opinion as I try more things. I play on iPad, iOS 7. I have only played a few levels, but so far no freezing, just occasional lagging. This after closing all other apps and restarting the iPad. Not horrible, but it could be better. So far I don see any issue (lag or freeze), still smooth running. Lag issue still on ABs. 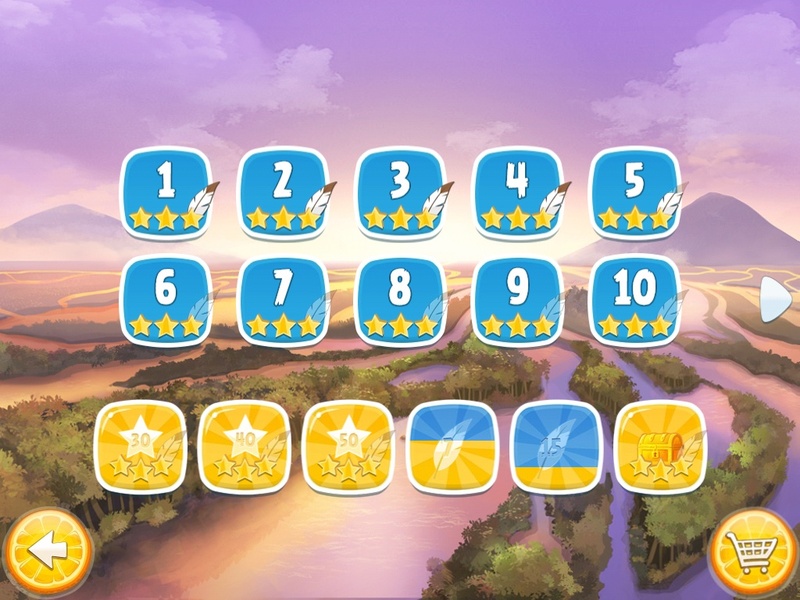 Great game play and Great graphics….my eagle meter on the Level Title for High Dive says I do not have all the feathers but I have 26 are there more levels that I am missing? @Josm. Thanks! I figured it out that I had 2 levels at only 95%. In the confusion of trying to complete everything I must have forgotten those 2. Those feathers on the level numbers are quite deceiving…I had to go through each level and double check the percentage of the ME. Thanks for the Help Josm. This shows that the new design with the feather causes only confusion and it helps nothing at all. I wonder why Rovio had to make this. Um, so just to clear things up, the update is NOT available for PC/Mac yet? I prefer the green bird in its old version! The new one doesn’t look like a bird. Has anyone managed 100% on the first bonus star level with the mighty eagle? I can’t beat 98%. It’s possible. I have all feathers. Walkthroughs will be posted in the next few days. I did it last Nigth . This one it’s the hardest one. I got ; several 98% , several 99% and the 100% . Tip…!! First bird Chuck to the front then Sardine can up : high arch ; the sardine has to be located on the second cage ; the first cage sone times it’s released. You need to do do many , many times untill you got it : some times there are a lot debris some times a few debris . The eagle seems doesn’t care about it….!!! Just keep trying. Ooh . I forgot ..!! Check my screenshots on my album . Thanks! 6 times was all it took after that. Now I have all the feathers at 100%! @gavza — Mere mortals, i.e., me can also get all feathers, so it is possible. I don’t remember specifically how to do the first bonus star level. Remember to try flinging the sardine can before any birds a few times to figure out what remains. You then need to concentrate on destroying that part of the level before you send in ME. For the record, I found getting TD on the gold box level the most difficult. Got the feather….for me the most difficult! It is possible. I destroyed the entire top with all birds and sent the sardine can between the first and second pillars to destroy debris that had sunk. Good Luck and Happy Flinging!! If anyone is having trouble getting TD a helpful hint is that vases are worth a lot of points and same with those rock platforms that can be destroyed. I had trouble with a few levels until I noticed that the common theme with the low scores was the vases left over on the screen. I’m running the 2.0.0. update on my Gen 4 iTouch and it constanly crashes. Of High Dive. Extremely frustrating. I’ve done several hard restarts also. Thanks but where is my multitask bar? Couldn’t find it in the settings. Try double-tapping the “Home” button on your device. Link to Apple.com. have the App Refresh setting. Any other thoughts? On iOS 6 or lower, double-clicking the home button will bring up an actual bar at the bottom of the screen. Hold down on any icon until they “shake”. Tap the “-” minus signs to close out all background apps. Ok thx. Just did that and it still has slow game play and then crashes. I use the same version iPod and have the same problem. I found turning off Wi-Fi or just putting it in airplane mode greatly reduced crashes and lag. Thx. Tried turning off wifi but still crashed. I appreciate the help though! When is it going to be available for PC/Windows? Decent update. Love the levels, but I am not a fan of the new graphical changes. And it’s got a brand new theme song, with lyrics in Portugese. Anyone got the lyrics and translation? Appears to be an update for Rio–PC. Hoping it’s High Dive. Yep its out for PC. Great, except level 9 keeps locking up. I’ve had to close the program 3 times so far. It took about 20 attempts to get it to go to the end of the level. Luckily it was 3 stars. I went back to play again, this time it froze up before launching Terence. Started again, this time I used the minimize button so I didn’t have to use task manager, and it played thru with no issues. Possible this bug has something to do with full screen mode? It froze at level five for me. Had to shut down the computer and restart it. Maybe we’re dealing with a potential bug? Try playing the game in windowed mode, vs full screen. Just stretch the window out as desired. such a beautiful update. Thanks Rovio.